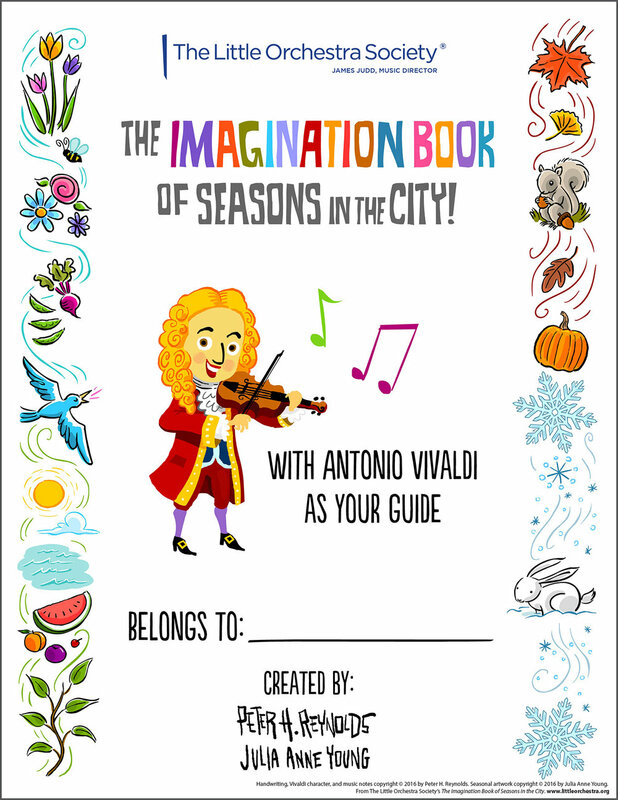 I collaborated with The Little Orchestra Society and Peter H. Reynolds to create this fun children’s activity book. 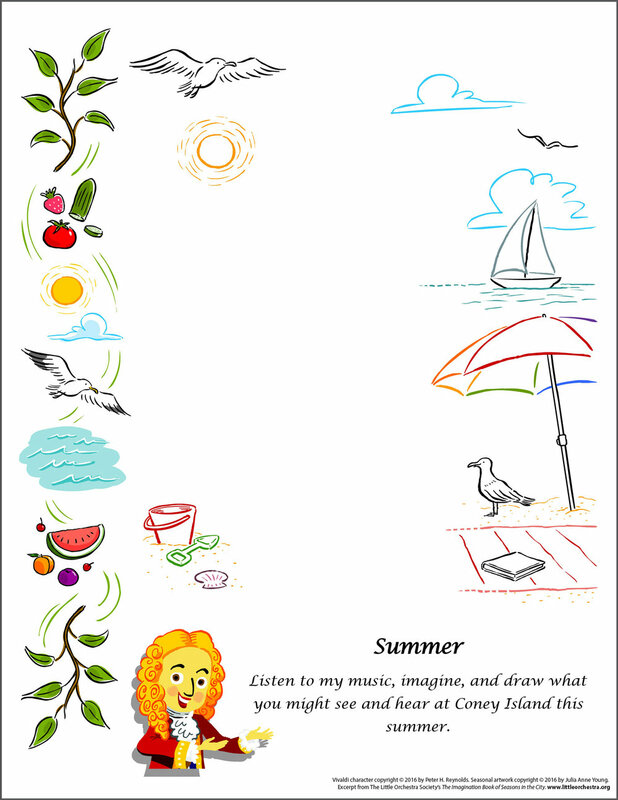 Drawing from Peter's style and taking inspiration from his charming illustration of Antonio Vivaldi (see his character below), I created seasonal illustrations and activity pages for spring, summer, fall, and winter. 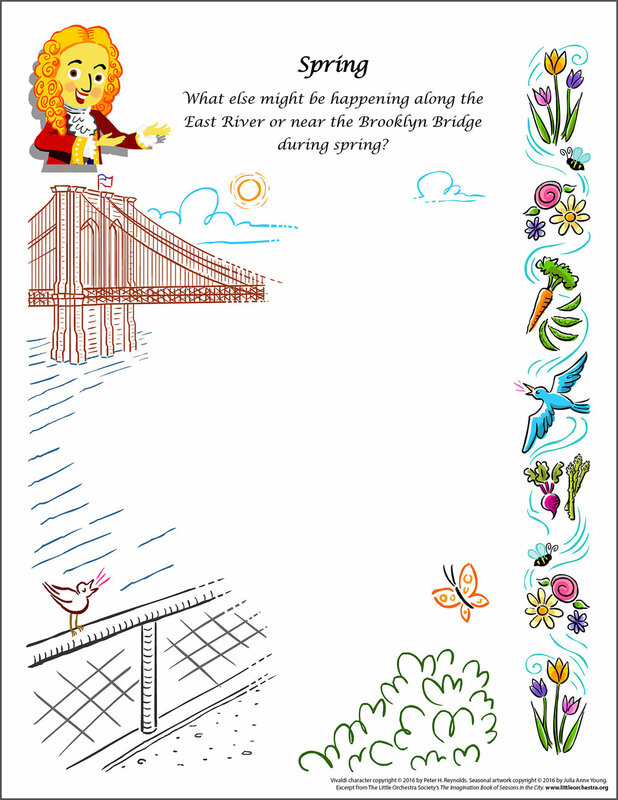 We included iconic New York City locations, featuring Central Park, the city skyline, the Brooklyn Bridge, and Coney Island Beach.